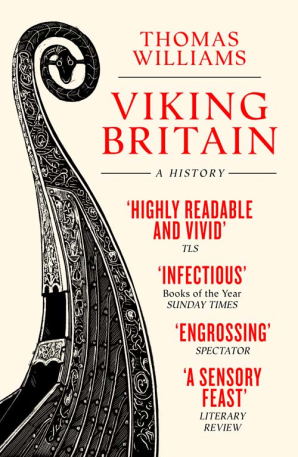 Thomas Williams is the author of the critically acclaimed Viking Britain: An Exploration, published by William Collins in 2017. He is also the author of The Tale of King Harald (British Museum Press, 2014), a retelling of the saga of Harald ‘Hardruler’ for children, and co-editor of a volume on beasts in early medieval England and Scandinavia (Boydell & Brewer, 2016). Thomas is currently writing about the Vikings in London, the forgotten kingdoms of early medieval Britain and the landscape of warfare in the early Middle Ages.